By the time the product has been made, it requires to have a label to be known and create its unique identity. Without the product stickers, products can’t be identified and differentiated from the others. The product sticker should always be associated with enticing appearance to increase potential of being sold. 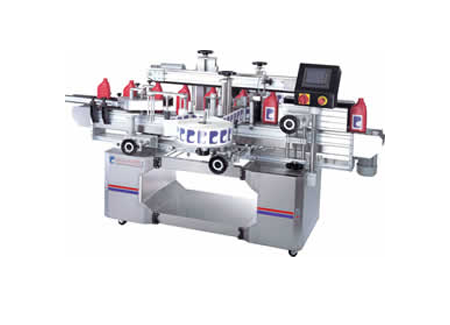 Labeling machinery plays an important role in packaging industry; it simply speeds up the labeling procedure while minimizing the time requirement completing the whole process. This is very affordable applicator provides a reliable, industrial grade labeling system that is very simple to operate. Its design and operation draws on over 30 years of dedicated label dispenser experience. This is uniquely designed applicator will accommodate a full range of round products, from ¼” to 6” diameter, without the need for costly attachments or modifications. The ‘open carriage’ design allows the applicator to apply labels to products of virtually any length using on standard unit. The LAW-5010-PL dispense pressure sensitive labels at a rate of up to 150 labels per minute (LPM) with extreme accuracy. This automatic labeling machinery comes equipped with a 7 ft. variable speed conveyor. Additional features include, a stepper motor drive for label, power assisted web take up, full wrap around or tamp station, auto speed adjust (all motors synchronized), and Photo Eye (non-contact) sensors for label gaps and containers. The LAW-5150-PL wrap around labeler is economical, self-contained and easy to operate. This automatic wrap around labeling system comes equipped with 6-5/16 inch wide (adjustable) X 7’ long variable speed high friction conveyor. Features include a stepper motor drive for label and power assisted web take up, automatic label head and conveyor belt speed synchronization, non-contact photo eye sensors, and an auto teach function for new labels. The LAW-5160 wrap around labeler is economical, self-contained and easy to operate. This automatic wrap around labeling system is also equipped with 4.5 inch wide (adjustable) X 7’ long variable speed high friction conveyor. The ZDT-5160-PLZero Downtime Labelers provide an economical, self-contained, and easy-to-operate solution for pressure sensitive adhesive label application. Equipped with Redundant Dual Labeling Heads, the labeler is designed to prevent downtime during label roll replacement. Labeling with one head while the other is stocked with new labels ensures continuous line operation. « How Useful Bottle Conveyors in Production?